Harbour Cars was established in 2000, and is the trading name for Lord Loudly Limited ( Reg No. 4121785). The company was founded by Rob Langley after he left a local Mercedes-Benz main dealership where he was General Sales Manager. We are essentially an independent dealer specialising in Porsche and Mercedes-Benz cars. The expertise and experience of our team is paramount to our business as we focus a great deal on customer satisfaction. Rob has over 25 years experience in business, the majority gained within the motortrade. He was the General Sales Manager of a Local Mercedes-Benz main dealership before founding Harbour Cars. Chris has almost 20 years sales experience & over 7 years with us here at Harbour Cars. He started his career in high end audio equipment before making the move to new and used cars in the franchised motor industry. Chris brings a measure of enthusiasm and passion for the products that we source and sell here. Geoff joins us with 26 years motor trade sales experience and has worked extensively with brands such as Land Rover and Aston Martin. His passion is for every customer to thoroughly enjoy their purchase and will make the path to ownership as easy as possible. Shân worked in IT software since the early 90s before joining husband Rob in founding Harbour Cars. They now have a growing family and Shân is always busy behind the scenes keeping Rob and the team in check but also maintains her IT experience with software consultancy. After 8 years at the local Mercedes-Benz main dealer (where he started with Rob) Kev has been with Harbour Cars for a further 10 years and his familiar face ensures that you can see your face in every car before it leaves us and that all the details are just that… detailed. 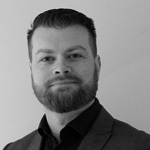 Dan has been with the company for several years and now subcontracts with his own venture called Vettura. Through Vettura Dan does all manner of car preparation and takes care of electronics aftermarket products like iPod and Bluetooth phone kit integration.